John Barrowman - The Fabulous Tour tickets at Savoy Theatre, London. 2019. Find the best John Barrowman - The Fabulous Tour concert tickets at Savoy Theatre, West End. He rose to fame starring as Billy Crocker opposite Elaine Paige in the musical Anything Goes at the National Theatre in 1989. He has since starred in West End productions of Miss Saigon, The Phantom of The Opera and Sunset Boulevard ? reprising the role of Joe Gillis on Broadway. He was Olivier Award-nominated for his role in The Fix, and most recently in the West End he appeared as Albin/Zaza in La Cage Aux Folles in 2009. On screen, John has appeared in five seasons of the hit American drama Arrow ? based on the Green Arrow comic books ? as Malcolm Merlyn (The Dark Archer), hosted Channel 4's game show for dogs Superstar Dogs and The Small Animal Hospital, and guest-starred on ABC's Desperate Housewives. 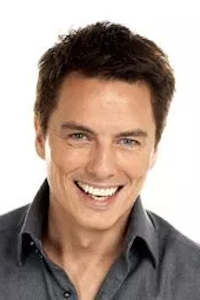 Perhaps his most famous TV role to date has been as the sci-fi hero, Captain Jack Harkness, in Doctor Who and its spin-off Torchwood. The show received BBC America's best-ever viewing figures and was broadcast around the world.As a presenter, John has hosted his own prime-time Saturday night BBC show Tonight's The Night, making people's performance dreams come true. He also presented The Kids Are All Right, BBC's Live and Kicking, and Children in Need. John's stage stardom saw him served him well as a judge on BBC1's Saturday night West End talent search shows, How Do You Solve A Problem Like Maria?, Any Dream Will Do, and I'd Do Anything. Earlier in his career, John competed in the first series of ITV's Dancing on Ice and won the 2010 Christmas special of Strictly Come Dancing. His last UK tour followed his 2014 album, You Raise Me Up. Previous tours followed albums Another Side, Music Music Music, John Barrowman, and The Very Best Of John Barrowman. In collaboration with his sister Carole Barrowman, John has published two volumes of his autobiography (Anything Goes and I Am What I Am), the Hollow Earth and Orion Chronicles trilogies, Exodus Code (a Torchwood novel), Station Zero and The Culling (Torchwood comics), The Dark Archer (DC Comics), and Acursian (Legendary Comics). John Barrowman - The Fabulous Tour tickets: The tabs above allow you to select between links to suppliers and date searching. Click on a supplier's logo to see their details and on the 'buy now' button to see and check the tickets on offer.